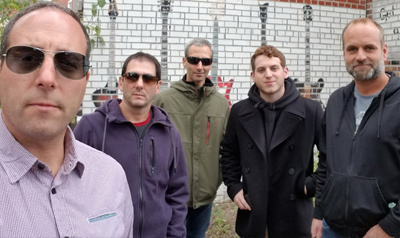 The 5:15’s lead singer Marc Kimmel has been a part of the Maimonides family for over 15 years and is excited to finally be playing in the Battle. The 5:15 is a hard rocking “garage” band that will blow you away. Made up of a group of cousins Marc Kimmel, Jon and Doug Stein and friends Matt Aisen, John Bowie and Steve Lubotta, all of whom are Battle alum, The 5:15 will play rock classics that will make your feet stomp and your fists pump.